The kids had their school parties today at Madison. I helped make the strawberry floats at Connor’s party in Ms. Stabenow’s room. 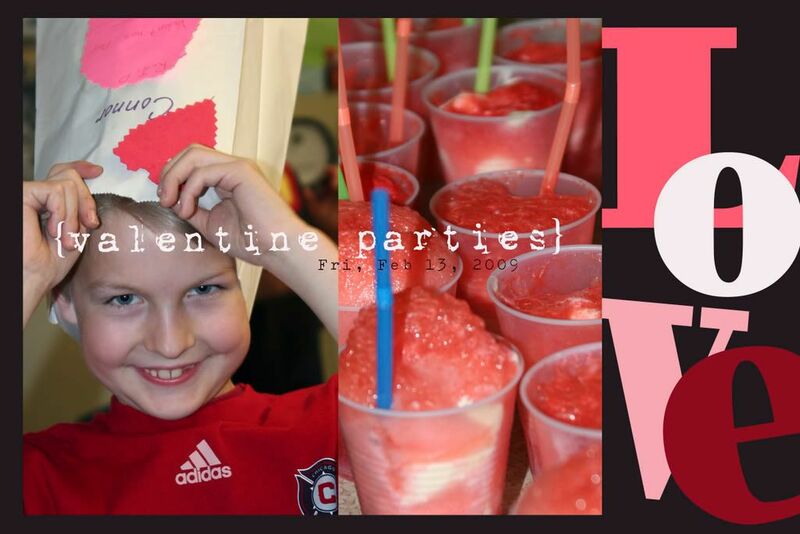 Connor made a pink tombstone on his valentine bag and was pretending to be dead during the party. He thought he was so funny. When I asked him why he put that on his bag he said he couldn't think of anything else to do. Logical, but I'm still not sure if I should be concerned. I checked in on Camille’s party in Mr. Fred's room towards the end and they were outside playing on the playground. The snow had just started coming down and it was so pretty. They both had a lot of fun, but the best part was by far the valentine’s cards and treats! What started out as a rough morning turned into a great day!